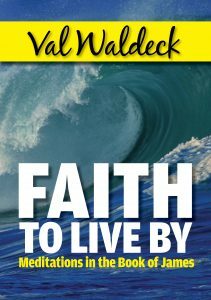 Devotional books that will Encourage, Strengthen, and Inspire You. 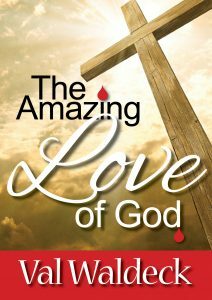 These devotional books were written with the specific purpose of bringing the Word of God into your situation. Apply the insights and live a life of victory and joy. 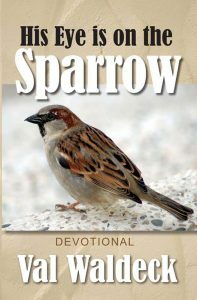 “His Eye Is On The Sparrow” is a powerful Christian Devotional with special meditations written for each day of the year. 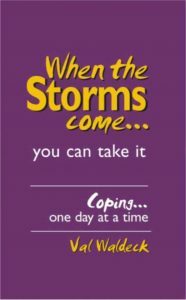 Thought-provoking, inspirational and challenging, this daily devotional will encourage you for years to come. 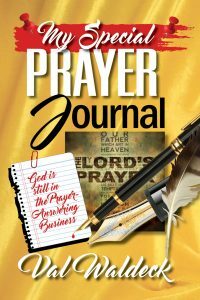 This very special Prayer Journal is designed to assist you in your Prayer Life. 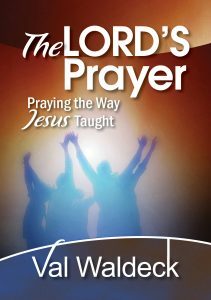 It is based on the Lord’s Prayer and takes you through each principle Jesus taught. Write down your prayer requests, answers to prayer (date them! 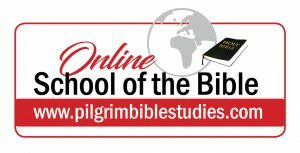 ), special Scriptures, thoughts, songs and quotes that impact you. 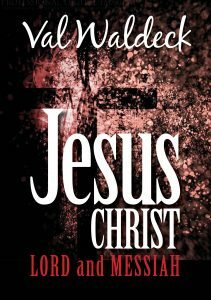 The Lord Jesus Christ is the focus of prophecy because HISTORY is HIS STORY. The Coming of Messiah was prophesied in great detail thousands of years before the birth of Christ. Literally, hundreds of prophecies were required to be fulfilled by the One who laid claim to the title. When the circumstances of life get us down, we tend to forget that the seasons of our life have a purpose and an end under God’s direction. That is what the Psalmist discovered. God is sovereign and He has everything under control. 31-day devotional meditations based on Psalm 73. When the Storms Come is the account of one man’s faith in the midst of incredible trials, and his triumph over sin, sickness, and death. You will be greatly encouraged, strengthened and inspired as you share these insights from Job’s life and apply them to your own situation. This is a very positive devotional. The Early Church was a scattered and persecuted Body and James assures us that the Lord never allows anything in our lives without PURPOSE and that He always provides the WISDOM needed for us to deal with trouble. At the same time, He requires a very definite RESPONSE from us. Some of the greatest prophetic revelations concern the Second Coming of the Lord Jesus Christ. 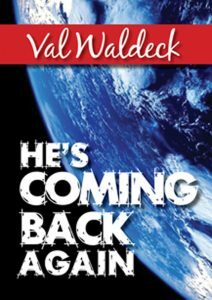 He came the first time right on schedule, and the Bible tells us to expect His return. 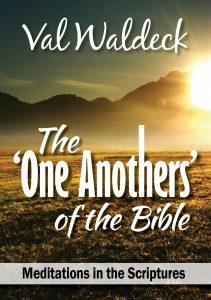 The Second Epistle of Peter takes an exciting and motivating look at this great truth. The Lord’s response is encapsulated in what is known as “The Lord’s Prayer.” It is one of the most fascinating prayers of all time because it covers every need of men, women, and children. The principles He taught are all-embracing. It is as if the Lord gave us the headings and we fill out the details. God is for us. His Grace (undeserved favor) is extended freely to His children. He is our Heavenly Father, unlike any human father or friend. May the Amazing Love of God encourage and delight us as we meditate on this wonderful truth. No man is an island complete of itself .. and the Bible emphasizes strongly that every individual believer is part of the Body of Christ. What we do and say, and how we behave, strongly impacts on “one another”. We need each other and we need to be there for each other. 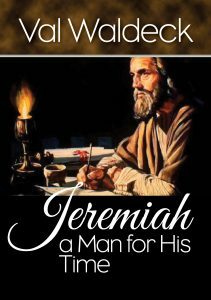 Jeremiah lived in very troubled times. As a Prophet of God, he had a very strong message for the people of his time. There is inspiring and challenging teaching here about the sovereignty of God, His mercy and faithfulness to His Promises. 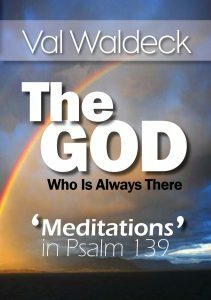 Psalm 139 is one of the most precious Psalms in the Bible and gives us a strong sense of God’s sovereignty in our lives. Every moment of the day, the Lord knows…WHERE we are, WHO we are, WHAT we are… And He loves us just the same. 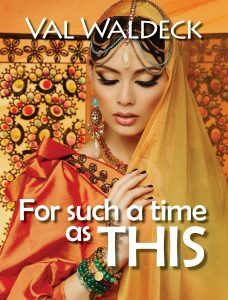 This Old Testament book named after Queen Esther in the Old Testament tells the story of a plot to exterminate the entire Jewish nation and how God used a believer to bring those plans to naught. This was a woman who lived “for such a time as this.” May her story challenge each one of us to fulfill our God-appointed destiny. 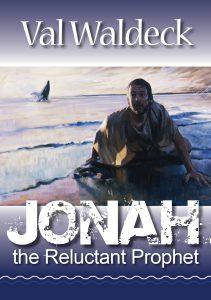 Jonah, the Reluctant Prophet, has a message for our generation. It is possible for an unknown foreign missionary to turn an entire nation to God… if we will but preach God’s Word faithfully and let Him do the rest. 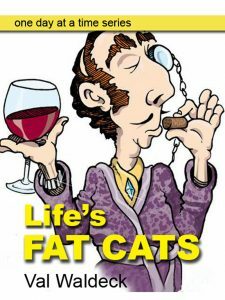 This book is not a myth, or allegory, as some have thought. Jesus personally testified to its historicity in Matthew 12:38-41.